Spend even a few moments reviewing research online these days and you’ll struggle to escape the omnipresence of social media. Whether it’s the chirpy blue Twitter bird inviting you to share the article – or even the content of the research itself – social media is a constant presence. Setting up your first account may seem a daunting task. Even if you have established profiles, understanding how to use them to best effect can be a challenge. Yet, as we explain below, being active on social media brings a number of advantages. Elsevier’s Marketing Communications & Researcher Engagement department has developed a series of useful guides which can help. Designed for editors, they contain information on all the major social media channels and how they can support you in connecting with your research communities. In this article, you can learn more about the guides and the 160+ subject social media channels already operated by Elsevier. We also hear from an editor who has proven success in this field. Dr. J. Martin Leland III, MD, is Associate Editor of Technology for Arthroscopy: The Journal of Arthroscopy and Related Surgery and Arthroscopy Techniques and is Assistant Professor of Orthopaedic Surgery at The University of Chicago Medicine. 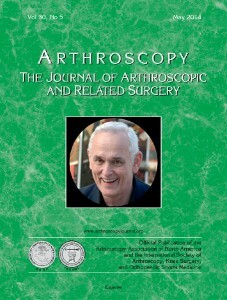 Not only is he responsible for his journal’s growing success in the social media world (www.twitter.com/ArthroscopyJ and www.facebook.com/ArthroscopyJournal), he also frequently lectures on social media for orthopaedic surgeons. Below you can view our video interview with Dr. Leland and read his answers to our social media Q&A. 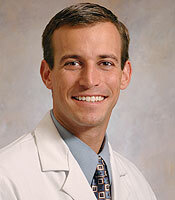 In September 2012, Dr. Leland established profile pages for Arthroscopy on Twitter and Facebook. Since then, he has seen the number of followers on Twitter grow to 2,000+ and Facebook Likes now stand at 700+. In the short video below, Dr. Leland talks to Executive Publisher, Jason Miller, about the challenges he has faced and the lessons he has learnt. Dr. Leland also answers our social media Q&A. Q. You are Associate Editor of Technology on Arthroscopy. What led your journal to create this role? A. The leaders of our journal knew that with our increasingly digital society, a strong online presence (via an updated and mobile-optimized website as well as a social media platform) was imperative to a successful journal. In addition, in anticipation of a day when journals are no longer printed on paper, they saw having a social media campaign as one way of getting our readership to become more accustomed to accessing our journal online, instead of in print. The editorial board has been incredibly receptive and enjoys having a person dedicated to "all things digital". Q. Is this the entire focus of your role or are you still involved in decision-making on papers? A. At first, I was still involved in decision-making and reviewing papers. However, we also have a very active and growing online, video version of Arthroscopy, called Arthroscopy Techniques . As that has grown, we receive more and more videos submitted for peer review and online publication (which are submitted to PubMed Central and listed on PubMed, just like any other peer-reviewed publications). In place of reviewing papers, I now dedicate my non-social media efforts to reviewing and editing videos submitted toArthroscopy Techniques. Q. How did you identify which were the most appropriate social media channels for your journal? A. I tried to identify where our readership would be if they were already active on social media. For Sports Medicine medical professionals (our readership), those who are interested in social media are usually on Twitter and Facebook. Very few are on Google+ or other social media sites. That's why we've focused our efforts on Twitter and Facebook so far - go where your readership is. But, we are always open to moving into new social media channels as the field develops. Q. Have you been able to measure the results of your activities? What benefits has the journal seen? A. Using Google Analytics, it is easy to identify how people are directed to your website. Did they get there via a bookmark on their computer (direct access), by doing a google search for your journal or by coming through a different website? Since we launched our social media campaign, we have seen an increasing number of readers get to our websites by clicking on links found on Twitter and Facebook. It has increased monthly and quickly exceeded the number of clicks we receive from the websites of our associated organizations. The more traffic on our website, the more our advertisers are willing to invest in online advertising, in addition to advertising in print. Q. Do you also use social media outside your journal, e.g. on a professional or personal basis? A. Yes, I have my own personal, professional-based Facebook and Twitter accounts. They are: www.facebook.com/DrMartinLeland and https://twitter.com/drmartinleland However, as busy as I am with the Arthroscopy accounts, I admit that I don't spend as much time on my own personal accounts. Q. What advice would you give to editors and authors who want to promote research socially? Are there any tactics you’ve discovered that are likely to increase retweets etc.? A. As Nike says, "Just Do It!". Get online, create Twitter/Facebook accounts (takes less than 5 minutes to establish accounts) and start posting. The more you post, the more active your accounts and the more followers you will get. Also, the more you post, the more you will learn (about what works and what doesn't, how to do certain things, etc.). The more you learn, the more successful your accounts will become. 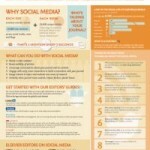 New Elsevier guides launched this week aim to simplify the complex world of social media for editors. Senior Marketing Communications Manager, Helena Stewart, led the team that created the guides. She explained: “Our aim was to create pages that are easy to navigate, simple to use and packed with practical advice. As we know that some fields are more active on particular platforms, we have concentrated on each of the channels in turn. We have also created a handy list of seven things you can do right now to make an impact in your field, for those who just want some quick and simple takeaways." Elsevier social media channels - did you know? J. Martin Leland III, MD, isthe Associate Editor of Technology for Arthroscopy: The Journal of Arthroscopy and Related Surgery – the official journal of the Arthroscopy Association of North America, the International Society of Arthroscopy, Knee Surgery, and Orthopaedic Sports Medicine and the International Society for Hip Arthroscopy. He frequently lectures on social media for orthopaedic surgeons and a variety of sports medicine topics around the United States. As Assistant Professor of Orthopaedic Surgery at The University of Chicago Medicine, Dr. Leland is a skilled orthopaedic surgeon and sports medicine physician and provides expert care for adults and children with surgical and non-surgical sports injuries. Dr. Leland has served as a team physician for the Chicago Blackhawks and currently takes care of Concordia College and numerous local high schools. He is also an active researcher and is currently working on projects that study how to improve ACL surgery and cartilage regrowth procedures in the knee. He can be found on Twitter: @DrMartinLeland and Facebook: DrMartinLeland.